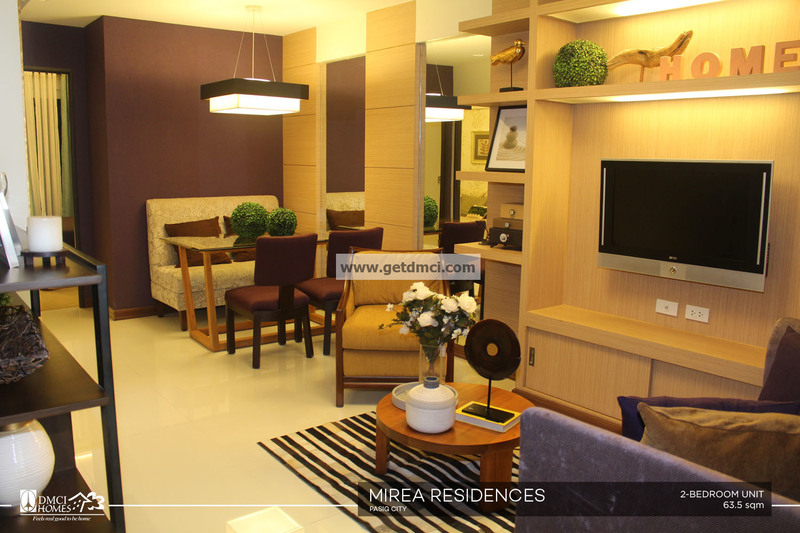 The Philippines’ first quadruple A property builder DMCI Homes brings focus on mid-rise living once again, as it recently inaugurated its newest project Mirea Residences in Santolan, Pasig City. Carl Espiritu and Merlin Yu from the Project Development team, Sales Director Leigh Gueñez, Asst. Marketing Manager April Ponte and Operations Manager for DPMC Frederick Rapiñan pose for a photo op for the ribbon -cutting ceremonies of Mirea Residences’ clubhouse inauguration. 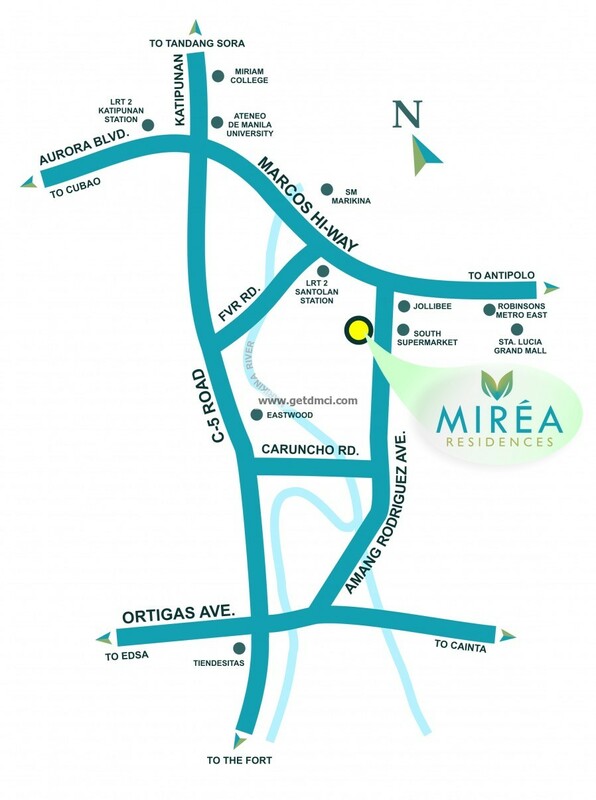 “At Mirea Residences, we have many first-rate amenities and open spaces for those who want to appreciate the beauty of nature. We also have a lawn perfect for picnics. 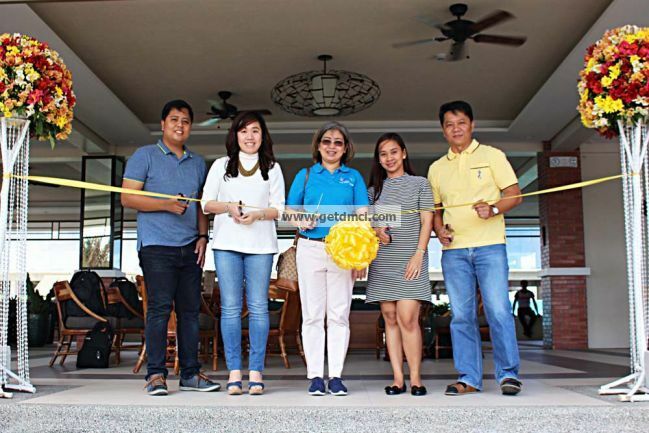 We are confident the property will give residents the distinctive resort-feel environment that they anticipated,” said Carl Michael Espiritu, the property’s Project Development Specialist, during the condominium development’s milestone event. 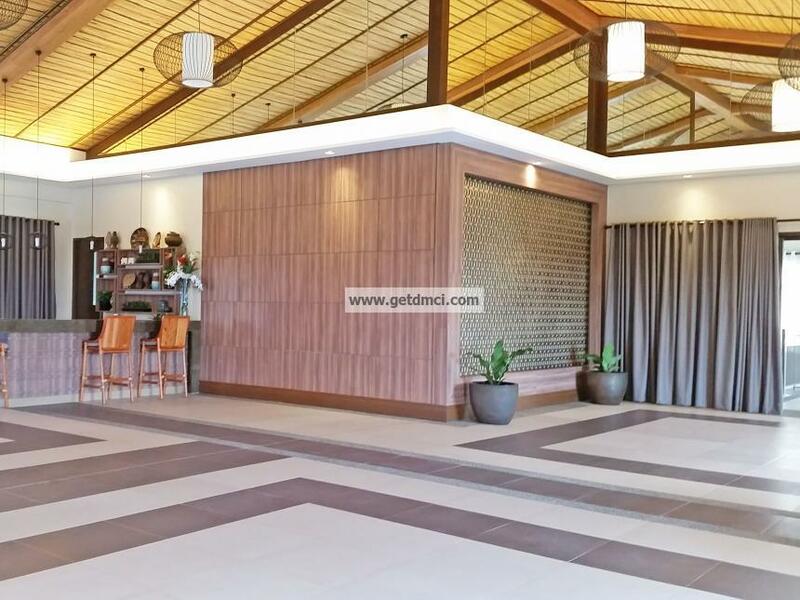 Along with the inauguration, DMCI Homes unveiled the community’s grand clubhouse and on-site model unit to give prospective residents a glimpse of the type of living experience that Mirea Residences offers. The medium-rise enclave comprises of eight buildings with only six to seven floors each. It features big-cut units such as two- and three-bedroom units with balconies that range from 63.50 sq.m. to 85 sq.m. The developer prides itself with the property’s sophisticated Neo-minimalist architecture and nature-inspired amenities. 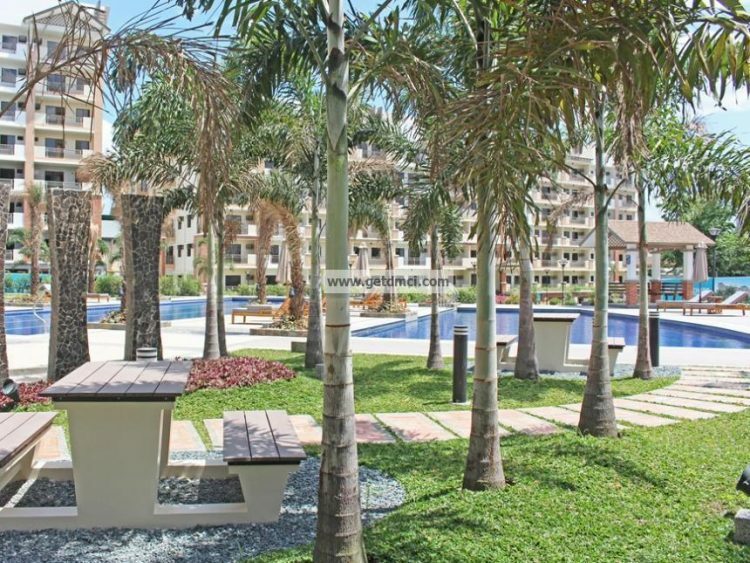 Espiritu noted that Mirea Residences is particularly designed to be a peaceful community, one where residents can be at home with nature. Surrounded by a landscaped garden and a distinctive water feature, Mirea Residences offers outdoor amenities that suits all ages in the family. For those who want to relax, residents can enjoy various “resort – inspired” choices. The property’s amenity core include three types of pools, the clubhouse, equipped with a lounge area, as well as gazebos, cabanas, tree court, grill pits, and a picnic grove that are perfect for those who want to commune with nature. And for those who lead an active and fit lifestyle, there is an indoor badminton court, a basketball court, a fitness gym, jogging and biking paths, as well as a play area for kids. Moreover, for recreation, residents can take advantage of the indoor amenities such as the game area and audio-video room. For events and gatherings, residents can utilize the function hall, also located at the clubhouse. In addition, the project is also near commercial establishments, being located in Amang Rodriguez Avenue in Pasig City. These include banks, a gasoline station, supermarkets, hospitals, railway stations, and commercial centers—one of which is the Ayala Mall which will open near the condominium this year. Even business centers, like Eastwood City and the Ortigas Business District, are also just a short distance away from the enclave. 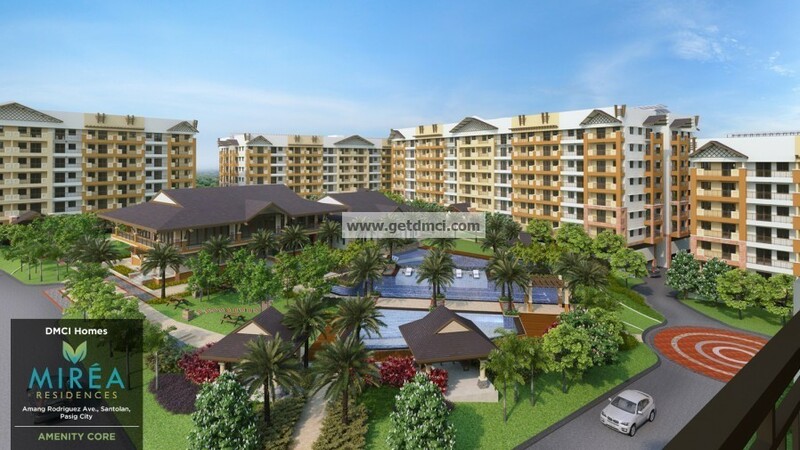 Espiritu noted that DMCI Homes is looking forward to the type of community that will be fostered at the development, as it is designed to inspire bonding among families and neighbors. “We’re certain that this community will be full of harmony. This will be achieved through the generous green spaces, first-rate amenities that promote leisure and interaction, and the distinctive, refreshing tropical environment at Mirea Residences,” he said. Mirea Residences’ first building, Maia, is already ready-for-occupancy which is six months before the stated date of completion. Four other buildings are set for turnover this 2017.